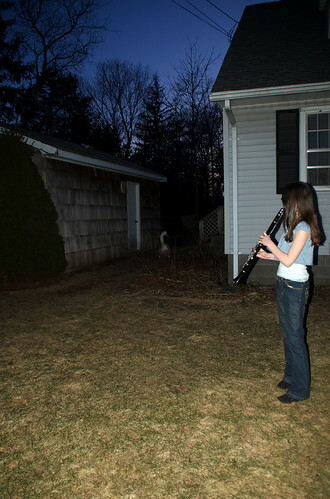 Last night after dinner Maggie was practicing her clarinet and Tomas espied a swan (!!!) outside our kitchen door. Apparently, it really liked her sound. It hung around as long as Maggie played, and waddled off when she stopped. It was pretty nerve wracking, waiting for him (her?) to cross our busy street. Eventually, a neighborhood birder came by & asked if we’d seen the swan, so we pointed her to where it was by the side of the street. She explained to me & the kids that our bay has just one swan couple now, so it was extra important that we save this one. 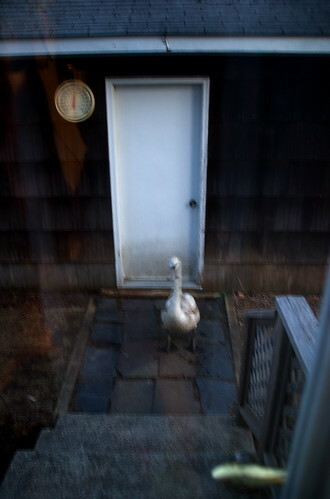 She also informed us that swans could only take off and land from water (who knew? ), so I directed her to the nearest inlet (and pools), and watched her shoo the bird in that direction.